Come out to GenNext’s first event! Learn some new recipes, try some delicious food and go home with a free cookbook! We know that groceries can get expensive, but that you shouldn’t have to miss out on flavour because you’re being budget-conscious. GenNext Simcoe Muskoka is hosting a FREE cooking class for people in their 20s and 30s who are interested in learning how to eat well without breaking the bank. New skills to use in the kitchen! 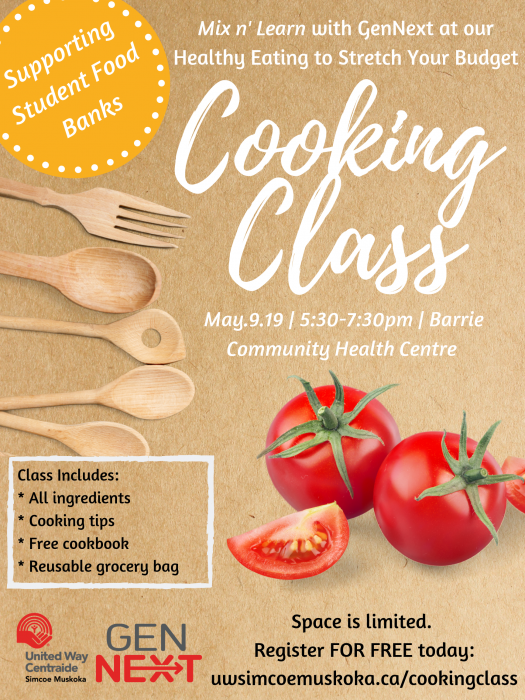 The cooking class is being presented by a registered nutritionist and dietitian, and we will be learning about the impact of food insecurity on our community. Most of all, we want to have a great time! Admission: Donation of a non-perishable food item. 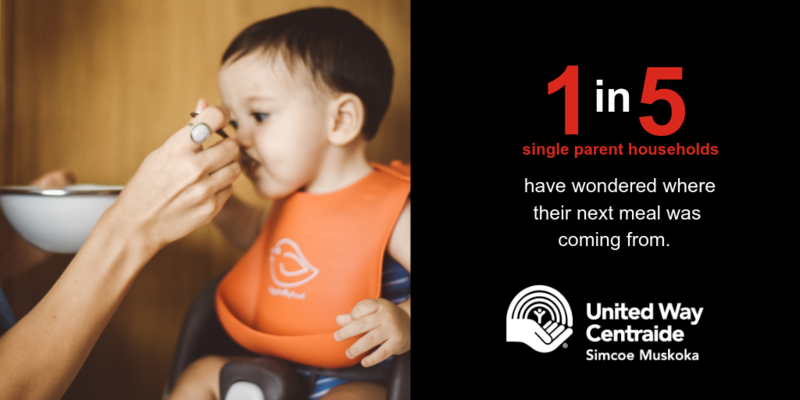 1 in 8 households in our region are struggling to feed their families, not because of bad budgeting or food skills, but because they do not have enough money for food. People are making tough choices like postponing bill payments, borrowing money, choosing lower quality foods or skipping meals just to stretch their dollar. Lack of food or insufficient access to healthy food takes a toll people’s health – it’s even been linked to mental health problems as serious as suicidal thoughts among children. Food banks are helpful, but they re not enough. As a community we need to talk about the issues of food insecurity and explore income solutions so that people don’t have to make this tough call any more. Join GenNext at our cooking class and learn more about food insecurity in Simcoe Muskoka.